David Einhorn (Trades, Portfolio), chairman of Greenlight Capital Re Ltd. (GLRE), disclosed this week his six new holdings for the fourth quarter of 2018 were Hilton Grand Vacations Inc. (HGV), EchoStar Corp. (SATS), Shutterfly Inc. (SFLY), Dillard's Inc. (DDS), The Chemours Co. (CC) and CONSOL Energy Inc. (CEIX). Warning! GuruFocus has detected 2 Warning Signs with GLRE. Click here to check it out. Managing a portfolio of 20 stocks, Einhorn believes that an investment approach emphasizing intrinsic value is capable of achieving positive investment returns and safeguarding capital regardless of market conditions. Unfortunately, this approach led to Einhorn positing a 34% nosedive in 2018, including a 9% decline in December. 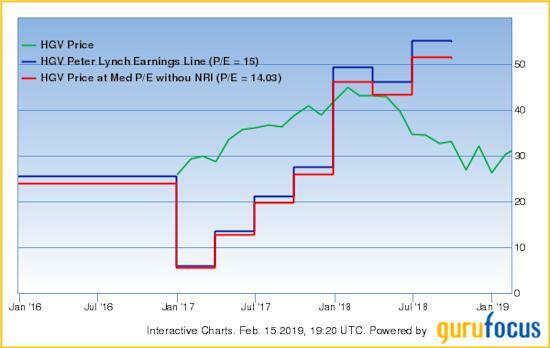 Even during a year where essentially every asset class suffered losses, Einhorn still underperformed the market benchmark, led by losses in General Motors Co. (GM), Brighthouse Financial Inc. (BHF) and Green Brick Partners Inc. (GRBK). Einhorn invested in 1.12 million shares of Hilton Grand Vacations for an average price of $28.90 per share, dedicating 2.14% of his equity portfolio to the position. Hilton Grand Vacations, a spinoff of Hilton Worldwide Holdings Inc. (HLT), markets and sells vacation ownership intervals, manages resorts in top leisure and urban destinations and operates a points-based vacation club. GuruFocus ranks the company's financial strength 5 out of 10: although it has good interest coverage, Hilton Grand Vacations' debt-to-equity ratio underperforms 91% of global competitors. The website lists two cautionary signs: increasing long-term debt and poor stock buyback record. Other gurus with large holdings in Hilton Grand Vacations include Ron Baron (Trades, Portfolio) and Chuck Royce (Trades, Portfolio). Einhorn invested in 600,000 shares of EchoStar for an average price of $40.52 per share, giving the position 1.59% equity portfolio space. EchoStar provides a wide range of broadband technology and video delivery solutions for home and office. 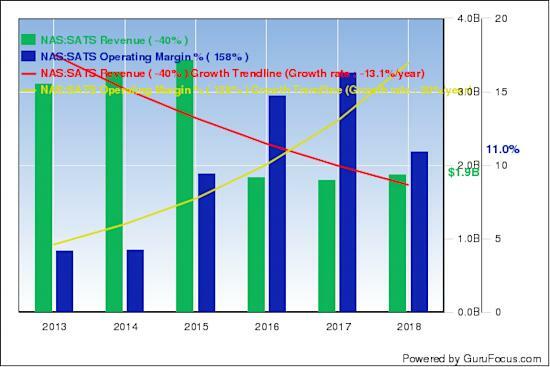 GuruFocus ranks the company's profitability 5 out of 10: even though revenues have declined 19.40% per year over the past three years, a rate that underperforms 88% of global competitors, EchoStar's net profit margin is still near a 10-year high of 18.63%. Additionally, the company has a strong Piotroski F-score of 7. Other gurus with holdings in EchoStar include Jim Simons (Trades, Portfolio) and Mario Gabelli (Trades, Portfolio). Einhorn invested in 521,200 shares of Shutterfly for an average price of $51.93 per share, giving the holding 1.52% equity portfolio weight. Shutterfly manufactures and retails photo-based products and services through three business segments: consumer, enterprise and professional. 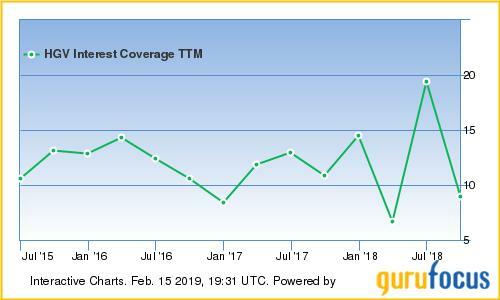 GuruFocus ranks the company's profitability 9 out of 10 on several positive indicators, which include expanding profit margins and a solid Piotroski F-score of 8. Additionally, the company's business predictability ranks five stars out of five on strong and consistent revenue and earnings growth over the past 10 years. 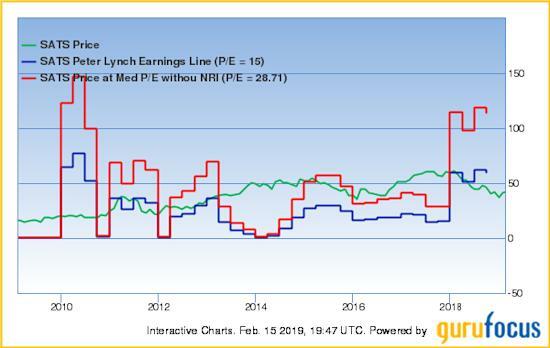 Einhorn invested in 250,000 shares of Dillard's for an average price of $68.32 per share, giving the position 1.09% equity portfolio space. Dillard's operates department stores that retail fashion apparel, cosmetics and home furnishings. 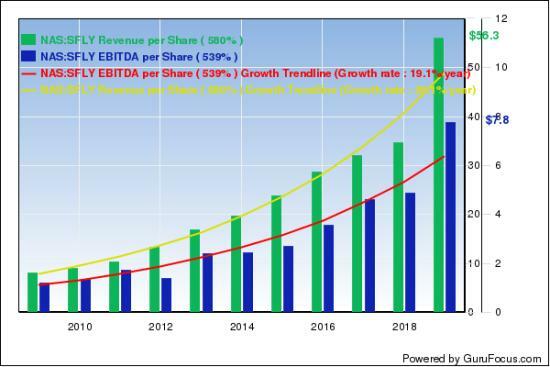 GuruFocus ranks the company's profitability 7 out of 10 on several positive signs, which include a strong Piotroski F-score of 7 and a three-year revenue growth rate that outperforms 78% of global competitors. 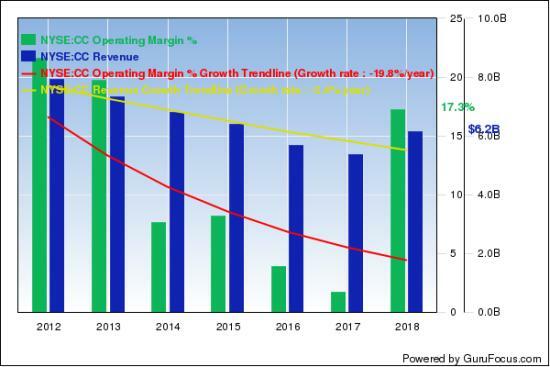 Despite this, operating margins have contracted approximately 13% per year over the past five years. Einhorn invested in 200,000 shares of Chemours for an average price of $31.32 per share, giving the holding 0.41% equity portfolio space. Chemours produces and develops titanium technologies, fluoroproducts and chemical solutions. 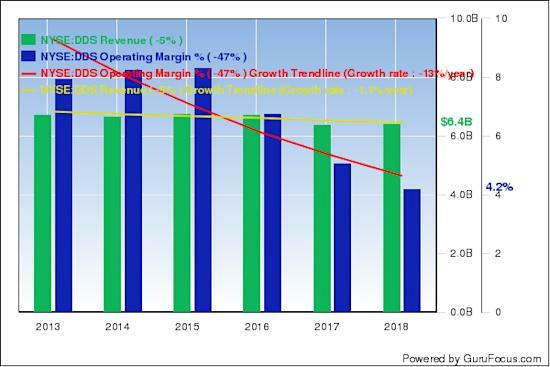 GuruFocus ranks the company's profitability 5 out of 10: although its profit margins are outperforming 88% of global competitors, Chemours' operating margin has declined approximately 15.30% per year over the past five years. Additionally, Chemours' three-year revenue decline rate of 3.10% underperforms 72% of global specialty chemical companies. Einhorn invested in 140,000 shares of CONSOL Energy for an average price of $36.52 per share, giving the position 0.32% equity portfolio space. Canonsburg, Pennsylvania-based CONSOL Energy produces and exports high-BTU bituminous thermal coal. GuruFocus ranks the company's financial strength 5 out of 10: although it has a strong Piotroski F-score of 8, CONSOL Energy's debt-to-equity ratio of 2.12 underperforms 94% of global competitors.